Don't compromise on your next remodeling project! Too many people compromise their needs or wants because we have become accustomed to it in this fast paced world. At Houston Construction we spend a great deal of time on planning and design to create detailed plans and specifications so that there is little or nothing left to question during the construction process. This allows us to provide uncompromising quality and a project that looks exactly the way you envisioned it. The members of our company and all of our trade specialists work together to make sure your project goes smoothly. We deliver what we promise with no compromises and no excuses! 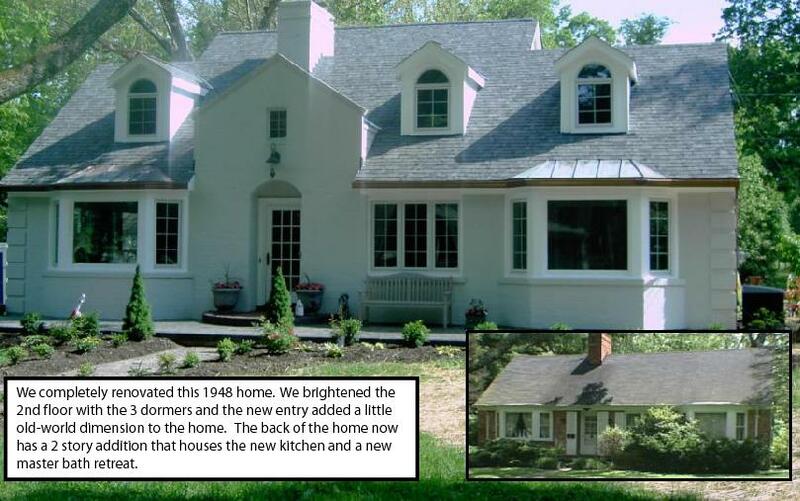 Houston Construction has been providing the Greater Cincinnati Area with custom home remodeling services since 1990. We pride ourselves on quality work and personal service. Don’t trust your family’s home to the lowest bidder. We are a family business that treats your home as if it is our own. Our commitment to being a design/build firm ensures that your project goes as smoothly as possible and stays within budget. Please browse our website to learn more about us and see why so many families choose our family for their remodeling needs. Houston Construction uses a zero-pressure sales method. We generate a highly detailed proposal and sketches for you and simply allow you to view them on our website. We promise we will never sit in your dining room and give one of those 2 hour sales pitches. We want to provide the project that YOU want, not what we think you need. After presenting your proposal, we will follow up and make sure you received it, but will not bug you after that. So, with our zero-pressure sales method, what harm is there in contacting us and getting the ball rolling for your next project?